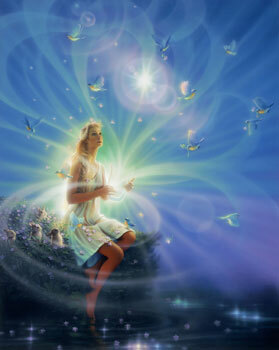 Stratum of Higher Gaia Light now covers the planet and the consciousness of all inhabitants. Such encompasses all levels of Gaia expression, and allows no “escape” from the uplifting effects. Those of humanity which have held the so-called “dark” contrast, are encouraged by this Higher Vibration to release those rôles, and rise with the rest of Hue-manity. As always, resistance to the increasing vibrations “is futile”. Those noting the blue images have seen the next Higher Stage of Gaia. Consciousness “star bursts” occur within large groups of hu-manity at this moment. Such bursts result from massive up shifts in awareness, at various dimensional levels. Movements of all types on all levels occur as the Star-Bursting continues.